Note: Since this article was first published, viewzone has received more information on “doomsday,” including visual and scientific evidence that a solar “extinction event” happened in the past. See Part 2 – The Previous Doomsday of 12,950 BC: what was it like? for details. ViewZone asked me to write a story about the Mayan Calendar. There is a common belief that the calendar holds a prophecy that the world will end in 2012. I knew very little about the whole topic when I began doing the research. I like to think I had an open mind. My investigation began with mainstream archaeology and expert interpretations of the calendar. But it soon took a turn that made my hair literally stand on end. I am now convinced that these prophecies are true. To understand what is likely to happen to Earth and its people, you will need to remain calm and try to follow the facts. It’s not as simple as some people describe. It requires an understanding of some fairly complicated science, but I think I can explain this in a way that you will easily understand. Our modern calendar, called the Gregorian Calendar, has days, weeks, months and years. 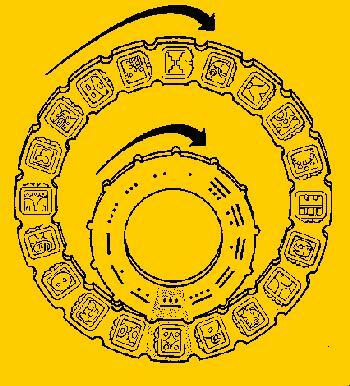 In the Mayan Calendar it’s more complex. In fact, it’s really three calendars at the same time. First there’s a religious calendar that takes 260 days to complete a full religious cycle. There are 20 “weeks” made up of 13 days. Each week has a special name, a graphic logo and unique meaning associated with it. This reminds me of the Chinese years which cycle through “the year of the rat” and “the year of the monkey,” etc., each with it’s special image and meaning. Graphic logos for each of the 20 religious weeks. Next there is the solar calendar. This has 365 days, like our modern calendar. It’s divided in 18 months of 20 days each. At the end of the cycle there’s five special days considered to be unlucky because they don’t belong to any month. Each of the months has a special name, graphic logo and some special significance, similar to the icons for the weeks in the religious calendar. So it is possible, for any specific date, the calculate the religious week and the solar month and to predict the influences that might be guiding fate. But that’s not really what’s involved with the prophecy of 2012. To understand that we must look at the third calendar, called the long count. While the first two cycles could be thought of as cogs or gears (see below) revolving through time, the long count is a linear number of days, starting from the first day, “1,” and counting through each day to the present. Any day in history can be recorded using the long count and, with some simple mathematics, the corresponding religious week and solar month can also be found. Cog or “gears” can be used to compute the religious and solar cycles for any date. The days of the long count are numbered with an unusual system. Instead of writing numbers as we do, from right to left with each place being a multiple of 10 (i.e. 10000, 1000, 100, 10, 1), the Mayans had only 5 places. The first place recorded a number from 0 to 20. To the left, the second place could have a range from 0 to 17; the third from 0 to 19; the fourth from 0 to 19 and the last from 0 to 12. The numbers were written from right to left, like our system, separated by a dot. Instead of multiples of 10, the first place had a multiple of 1 (like our system); the second place a multiple of 20; the third a multiple of 360; the fourth a multiple of 7200 and the fifth a multiple of 144000. (4 x 144000) + (12 x 7200) + (5 x 360) + (9 x 20) + (0 x 1) or a long count of 664,380. It’s not too difficult to realize that the maximum number which can be recorded this way would be12.19.19.17.20, although some researchers like to write it as 13.0.0.0.0. This amounts to a long count number of 1,872,000 days or 5125.36 years of our modern calculations. Obviously, the calendar is very old! Over the years, archaeologists have found carved monuments that recorded the long count for known dates in Mayan history. Once a date was fixed in time, it was easy to determine “day 1” as August 11th, 3114 BC. And it was also easy to calculate the date at which the calendar would end —December 21st, 2012. Trust me, just because the calendar ends doesn’t prove that time, or the world, or life will end. We need to look carefully at December 21, 2012 and try to understand why the Mayans never calculated a date beyond this point in time. 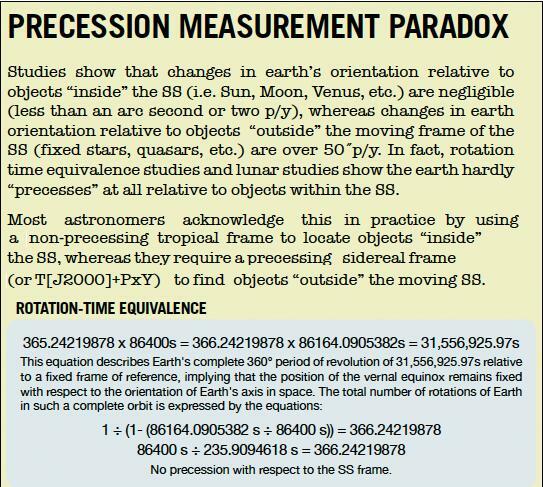 To do this we must move from Archaeology to the science of Astronomy and Astrophysics. It’s ironic (or maybe not) that the Mayan Calendar is often called the “sun stone.” While the calendar does have “solar” days, acknowledging the 365 days it takes for Earth to rotate around the Sun, it is also true that the Sun plays a key role in the final day of the “long count.” To understand what will happen to the Sun on December 21, 2012, we need to review some scientific terms like “ecliptic,” “barycenter,” and “sunspots.” These are important in the discussion that follows. We’ll start with the most difficult one first. Terms we will encounter…What is the Barycenter? You’ve no doubt heard that Earth revolves around the sun. Well, actually, that’s not quite true! Have you heard the term “center of gravity”? It’s a technical-sounding term for something pretty simple. It’s the exact center of all the material (that is, mass) that makes up the object. For example, if you have a straight stick, like a ruler or yardstick, there’s a place at the middle where you can balance it on your finger. That’s its center of gravity. But the center of gravity may or may not be the point that is exactly in the middle, distance-wise, of the object. Some parts of the object may be heavier (denser) than others. If you have something like a sledge hammer that is heavier on one end than the other, the center of gravity will be much closer to the heavy end than the lighter end. To get an idea of where the center of gravity is, rest the ends of any object like the ruler or a pencil on one finger from each hand. Slowly move your fingers together without dropping the object. Your fingers will meet underneath the object’s center of gravity. You can balance the object on one finger at that special place. The actual center of gravity could be close to the surface or deep inside, depending on whether the object is flat like a ruler or a dinner plate, or “three-dimensional,” like a box or a ball. And if you let the object spin (like when you throw it), it will try to spin about that point. In the case of the Earth and the sun, both bodies actually revolve, or spin, around the very center of the mass (similar to center of gravity) between them. This point is called the “barycenter.” Earth and the sun are “connected” by the gravity pulling them together. It’s just like the light end and heavy end of the sledge hammer. Compared to the size of the sun, Earth is about like a flea on a cat! So the center of mass between the Earth and the sun is almost–but not quite–the very center of the sun. In the case of a planet the size of Jupiter, which is 318 times as massive as Earth, the barycenter of Jupiter and the sun is a bit further from the sun’s center. So, as Jupiter revolves around the sun, the sun itself is actually revolving around this slightly off-center point, located just outside its center. Thus, a planet the size of Jupiter will make the sun (or any star) appear to wobble a tiny bit. This picture shows you that the center of mass and barycenter can be slightly different points. It isn’t meant to be very accurate! We can take advantage of this bit of knowledge and look for large planets in other solar systems by learning to detect this type of tiny wobble in the star’s position. For now, let’s forget all the small planets and focus on Jupiter. It makes one complete trip around the Sun every 11.861773 years. There’s a new theory put forth by Dr. Rollin Gillespie which shows that Jupiter, and to a smaller degree the other less massive planets, may trigger the 11 year cycle of sunspots and solar flares. The is not a single point in the Sun. 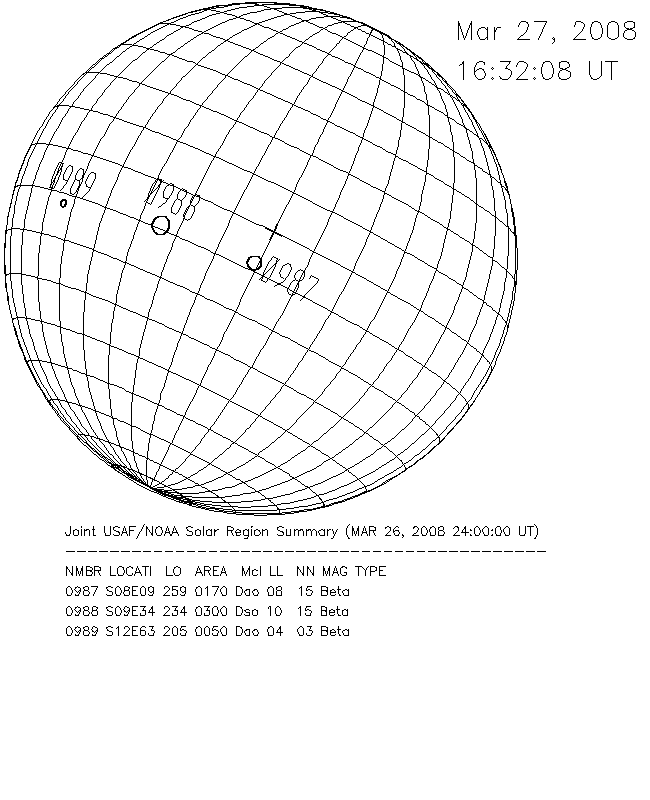 Because the Sun is a rotating gaseous sphere, the barycenter forms a vertical, cylindrical “sleeve” that is partially inside and outside the main solar body. All of the planets have such a “sleeve,” one inside the other, depending on their relative mass and the location of their barycenters. 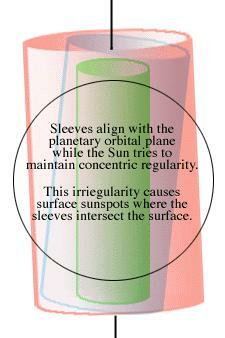 The particular sleeve representing the mass of Jupiter intersects the solar surface at 35.9 degrees North and South. This is precisely where sunspot and flare activity begin and end during each 11 year cycle. The new cycle has already begun with the recent observation of a solar spot with reverse polarity. But some surprising activity on March 27, 2008, showed some huge eruptions with M-class radiation at about the equatorial region of the Sun. [ See Solar Map]. These surprising eruptions suggests a barycenter of disturbance from an object even more massive than Jupiter, placing the “sleeve” outside the Sun. Could this be the beginning of the Galaxy’s effects (keep reading to learn more about this) on our Sun? Scientists have noted that when Jupiter and Saturn are aligned on the same side of the Sun, the solar maximum (the period when we have the most sunspots and flares) is at its weakest; when they are on opposite sides of the Sun the solar maximum is at its strongest. 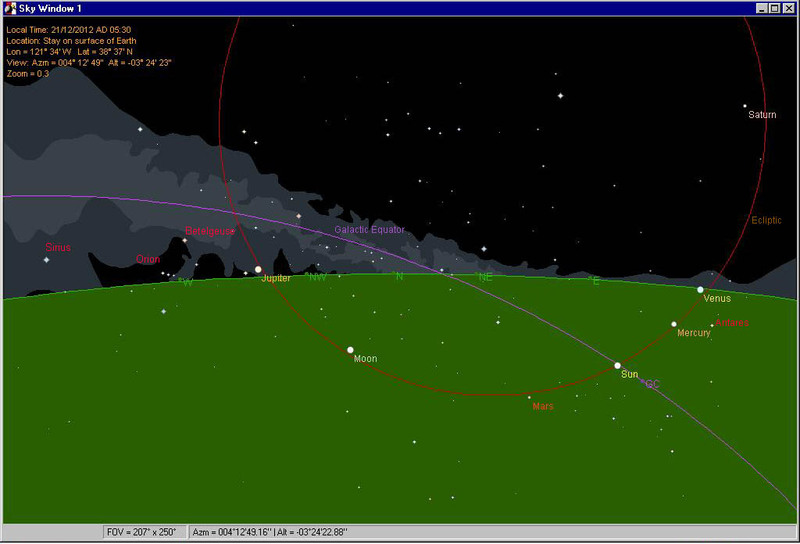 The positions of these two planets on December 21, 2012 are ideal for extreme solar activity. Above: Position of Jupiter and Saturn on 12/21/2012. These cylinders are usually quite orderly because the planets adhere to a narrow plane, called theecliptic which resembles a thin plate extending from the equator of the Sun. The planets hang out here because (in simple terms) this is the zone where the gravitation of the system is the strongest. The planets orbit the Sun in a narrow plane called the ecliptic. But nature is never perfect. The Sun rotates at a slight angle (7.25 degrees), much as our Earth does. As it wobbles, it tilts the sleeves, causing them to clash with eachother and eventually disrupt the surface. Having the barycenters of the to most massive planets, Jupiter and Saturn, in maximum misalignment is especially disruptive. This disturbance, to put it simply, works its way to the surface and erupts in sun spots and solar flares or CME’s (Coronal Mass Ejections). The last solar cycle was at its maximum in 2001. Each active solar cycle has a period when the flares are strongest, usually happening near the solar equator, called the “solar maximum.” This is significant because the next “solar maximum” event will coincide with December 21, 2012. But wait — there’s much more! Solar flares are pieces of the sun which leap into space, discharging radiation and strong electrical currents that travel outward into space. They often fall back to the surface of the Sun. Sometimes, a very strong flare, called a Coronal Mass Ejection (CME), actually leaves the Sun and this deadly mass shoots out from the Sun towards the planets like a bullet. Usually these CME’s don’t hit anything but occasionally they hit a planet like Earth. Some believe a powerful CME once hit Mars. Most solar flares are small. But even a small flare can be dangerous. In 1989 a flare hit the North American continent and fried electric lines, zapped power grids in the US and Canada, and created large power backouts. Flares can also effect our moods and physical health. In theory, a large flare impacting the Earth could zap the ionosphere (there goes all the satellites, cellphones, GPS…) and irradiate the surface, killing every living organism that it touched. Solar flares and sun spots have an average cycle of 11.120412 years (estimated from one “solar maximum” to the next). Right now, 2009, we are just entering the active period of cycle number 24, after an unusually long period of quiet solar activity. This quiet period led some people at NASA to conclude that cycle 24 would be a very quiet cycle — contradicting the earlier predictions they made for an extremely violent cycle. Now they have redacted their call for a quiet cycle since the activity has again commenced. The scientists who study the Sun have also recently announced that they have measured the solar currents, deep inside the Sun, which correspond the Dr. Gillespie’s barycenter currents. But to date they have not been able to agree what causes these deep currents of solar material. The small discrepancy between the average 11.120412 year solar cycle and the 11.861773 year period of Jupiter is close enough to be significant but suggests that something else is also influencing solar disturbances. Sure, it could be attributed to the various positions of the other less massive planets, but it could also be something even more significant — the Milky Way. 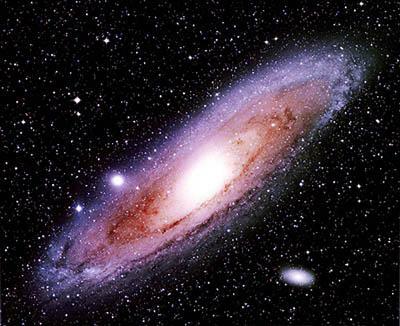 Our solar system is part of a huge disc shaped collection of stars and planets called the Milky Way. We’re located somewhere on the edge of the disc, slightly on top of the narrow disc. But very soon we’ll be moving to the bottom of the disc. This change, from top to bottom, begins on December 21, 2012. Yes, that’s right. On the same day when our Sun is at it’s solar maximum, something will happen that’s never happened for thousands of eons of time — the ecliptic of our solar system will intersect with the Galactic plane, called the “Galactic Equator” of the Milky Way! [see star chart]. If you imagine our solar system as a bunch of peas on a plate, with a huge meatball in the center, imagine the Milky Way as a city-size pizza with the “Guiness World Book Record Meatball” in its center! Prior to December 2012 we have been drifting on the top of the pizza, never really able to see the bottom. The plate and pizza are not parallel. They are moving at different angles. We’ve been drifting down, down, down… and on December 21st, 2012, we will be exactly level with the crust — forming an “x” at the Galactic Equator where galactic gravity is the strongest. 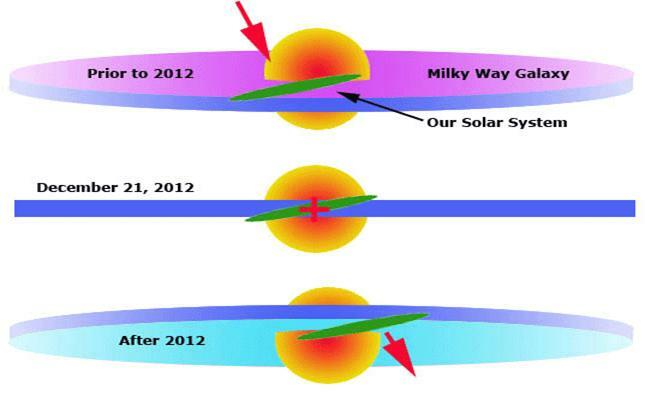 After 2012, if we are still here, we will be passing through the bottom zone, viewing the Milky Way pizza from the South. In the first quarter of 2001, the Sun switched magnetic poles. This occurs every eleven years. Prior to this the Sun’s north magnetic pole was at the north rotational pole. Now the Sun’s north magnetic pole is at its south pole. Since opposite poles attract, the magnetic poles of the Earth and Sun are now at their most stable. 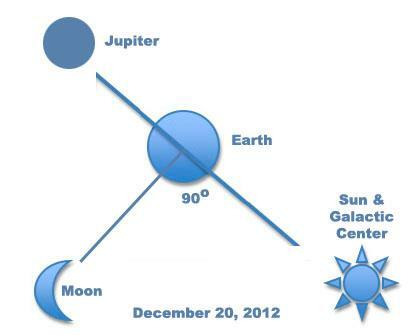 Just about the time of 2012 Winter Solstice, the Sun’s poles will switch back. During this switch there will be a tendency for the Sun’s magnetic field to pull the Earth’s field with it. If the Earth’s magnetic poles switch, this would put stress on the planet aggravating earthquakes and volcanos, not to mention destruction of the electrical power distribution grid. And, if the switch happens fast enough don’t ever expect your computer to work again. But if you have old tube type equipment, keep it. It should survive just fine. It will work if you can find electricity.